Reading allows children to develop social skills, build their “empathy muscle”, and develop their vocabularies. Each of the books focus on a different life event. 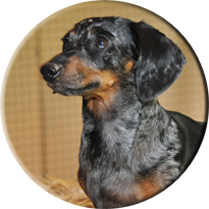 In Roxie the Doxie Finds Her Forever Home, we follow Roxie from her foster home to her forever home, watching as she experiences a variety of emotions through the experience. In Roxie the Doxie The New Dog At School, Roxie is the new student at a school, and just as a child would have to quickly learn new skills and make new friends, Roxie must face many real life scenarios over her first week at school. Both books allow a parent or caregiver to start a conversation about challenges in a non threatening, engaging and fun fashion. 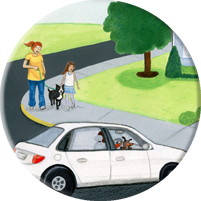 Both books come with a parent conversation guide written by a clinician, intended to help parents craft a conversation with a child. How this book can help children through the adoption process, welcoming adopted children into their home, joining step and blended families, and through other family transitions. 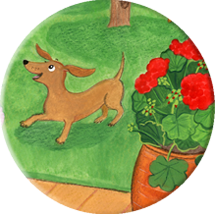 "Roxie the Doxie is a heartwarming story that will appeal to all children, and an excellent book that will help parents begin a discussion with their child about transitioning to a new home." A Photo Gallery about the real Roxie whose story inspired the book – where children can contact Roxie and ask questions about adoption and other family transitions and challenges.